It was tradition for centuries to eat fish on Friday. The church banned eating meat on Friday in the Middle Ages as a form of abstinence and penance. Its origins are believed to be much earlier than that though, some say it was even before the time of Jesus with the Jews observing a twice weekly fast. 'Fast' didn't mean starvation, just limiting the diet and it was expected to eat fish rather than meat. If you were not wealthy, then you wouldn't have been able to afford much meat in any event - no land meant no livestock. You could eat for nearly free if you lived near the sea or a river by catching fish. Nowadays, people don't observe the same rules in such large numbers, but if you're wanting to add fish to your diet and don't know how to start, then beginning by serving fish once a week on a Friday is as good a method as any. Eating fish has been proven to have substantial health benefits, so it's well worth making the effort to add fish to your diet twice or more times a week. 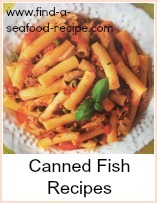 Start with something simple - either using canned fish to make a pasta sauce or some smoked fish cooked in milk and served with bread and butter. Links at the bottom of this page. 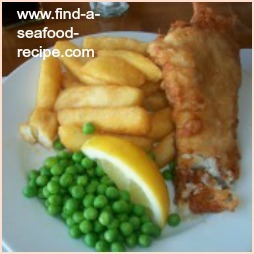 Fish is quick and simple to cook, easy to digest, low in fat and high in nutrients - how many more reasons do you need?? 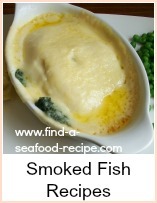 Once you've got into the habit of looking for fish to cook, then you can get more adventurous. There are some great soups which will make a good meal for the family with the addition of some crusty bread. 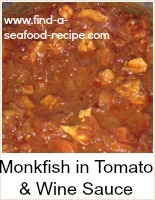 Have a look around the site and explore the individual sections as to how to incorporate fish into your diet. It's really not hard and the benefits of adding fish are well worth the effort.